Veronica Roth graduated from Northwestern University with a degree in creative writing. 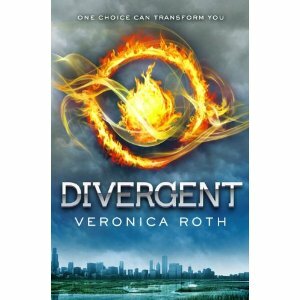 While she was a student, she often chose to work on the story that would become Divergent instead of doing her homework. It was indeed a transforming choice. Now a full-time writer, Ms. Roth lives near Chicago. Divergent is her first novel. I seemed to be hooked on dystopian tales and I have read some really good ones lately, but this one is just amazing. It will help replace the loss of the Hunger Games and the writing is just amazing! I would like another one now! I will have a longer review closer to the release date. This book looks great and I can see I'm going to have to track it down somewhere. ;) Good review.